Back in the late 1930’s a group of five men (Charlie Wiley, Dale Wilder, Montana Bill Roberts, Harry Reed, and Sid Vollin) got together with an expressed concern about the loss of heritage, of history, of artifacts, and of a way of life of Eastern Montana. They decided to see if there were other people who felt the same way, and if they could gather enough support to start a museum. A meeting was called for January 10, 1939. 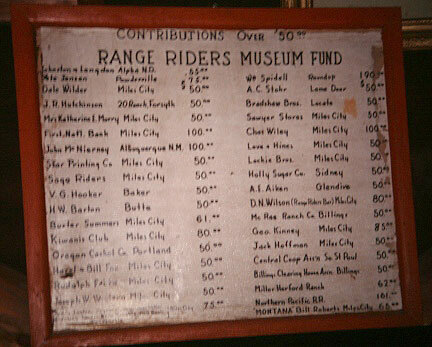 Over 30 people were in attendance, and with a positive vote the “Range Riders Museum” was born. The group obtained a 99 year lease from the City of Miles City and a part of the Fort Keogh (1876) land, and started a fund raiser. The first small donations started to come in: $190 from William Spidel of Roundup, Montana; $80 from the Miles City Kiwanis Club; The Northern Pacific Railroad donated $161. Overall, hundreds of small donations came in. Construction started on the original 2800 square foot log building, dedicated August 22, 1942, which is today’s entrance into the Museum. 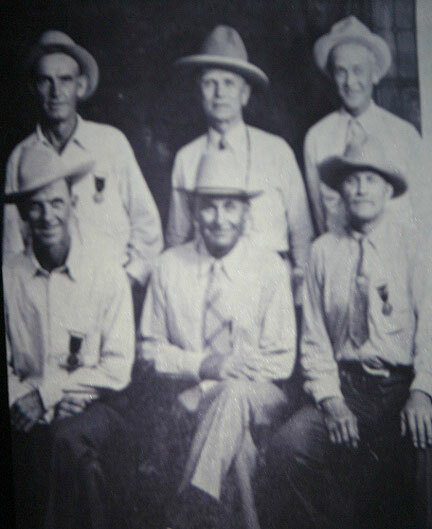 Back Row: Harry Reed, Lou Grill, Dale Wilder • Front Row: Sid Vollin, Charlie Wiley, Montana Bill Roberts. The Museum has always kept track of its wonderful donors.